C&IT caught up with UK buyers at Dreamtime 2015, Tourism Australia's signature business incentives event, held at Adelaide Convention Centre from 6-9 December. 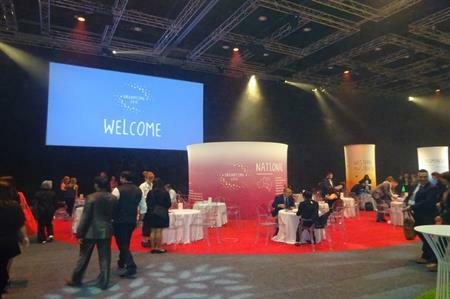 The attention to detail throughout Dreamtime has been amazing and there was a very good mix of suppliers to speak to, with a flexible layout within the venue. The welcome we received gave us a real insight into what Adelaide can offer for events and while the city might be a harder sell for incentives when compared to better known destinations such as Sydney and Melbourne, it would work really well for those groups that are well-travelled and who are looking to do something off the beaten track. Adelaide as a city is incredibly welcoming with a range of venues suited to business events, including the Intercontinental Adelaide and the convention centre. The food has also been amazing and is a real selling point for the region – South Australia has some great produce and the region is very proud of this. Some groups might consider looking at Adelaide as an option twinned with either Sydney or Melbourne, with a programme focusing on food and wine." This is my first time in Australia and I am impressed with what the destination can offer in terms of tailored and bespoke experiences for groups. The food and wine in the region is a great selling point – when groups think of Australia, they tend to consider cities such as Melbourne and Sydney but from my experience at Dreamtime, Adelaide is certainly another city to consider. I really liked the way Dreamtime was presented and how the one-to-one meetings worked. The format was easy to follow and the quality of suppliers overall was good. As a venue, Adelaide Convention Centre is very impressive and when the extension is completed next year, it will be even more so and would be great to consider for events. Event partners at Dreamtie 2015 include Etihad Airways, Virgin Australia and Adelaide Convention Bureau.